Adam Rehm says the USPTO is a veritable treasure trove of data to measure innovation. Learn more about the who, what, and when of the world's drone leaders here with the latest data analysis from the Inventiveness Index. Drone technology has opened the door to fascinating possibilities. Many companies around the world are working to take advantage of such by investing in research and development. As with any investment of this nature, inventions are conceived and patent applications are filed in various patent offices around the world, including the United States Patent and Trademark Office (USPTO). The USPTO provides a veritable treasure trove of data that can be processed to measure innovation and determine who is doing what and when. 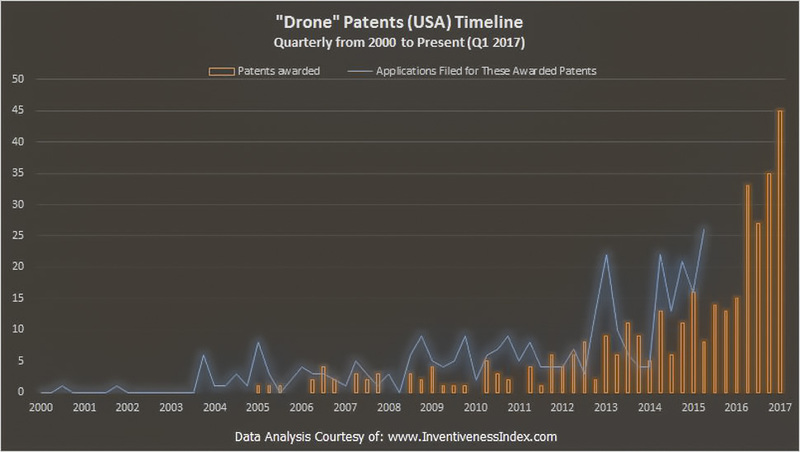 Regarding when, as observed via a recent post, there has been an explosion of issued patents directed to drone technology. To analyze such, we conducted a search of records available via the USPTO to identify issued patents with titles that include the terms “drone,” “unmanned aerial vehicle,” “unmanned aircraft system,” or “UAV.” We refined the results of our search to utility patents (i.e., patents that protect function versus design patents that protect appearance) that had been assigned (e.g., from an inventor to a company). The refined results yielded 349 patents with a rapidly-increasing application and issuance rate, as indicated via the following chart. 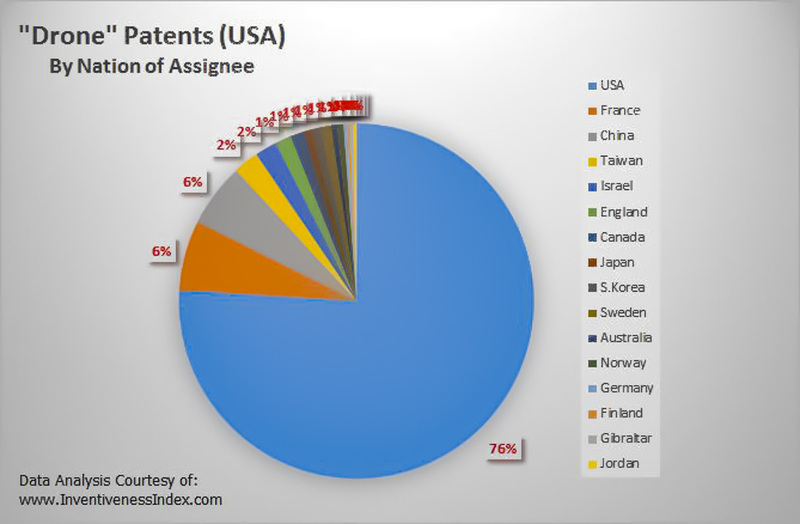 Regarding who, we learned that the vast majority of the issued patents are assigned to U.S. companies with companies in France and China tied for second place, as indicated by the following chart. 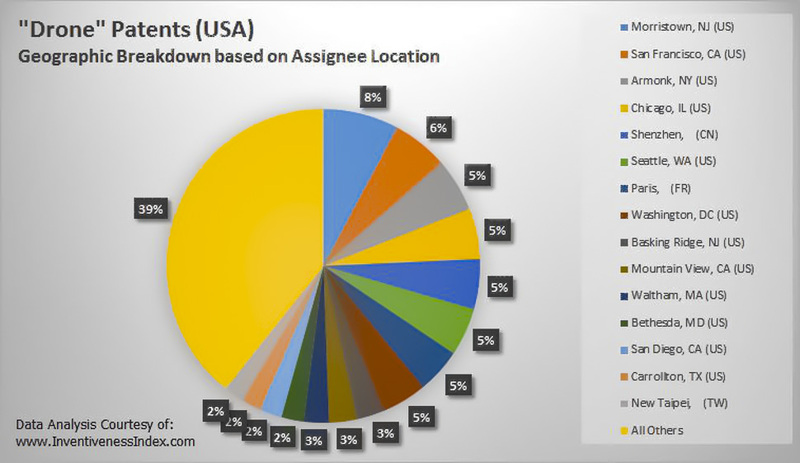 Drilling down further with respect to geography, we discovered that the top 5 cities of patent holders for drone technology are Morristown, NJ, San Francisco, Armonk, NY, Chicago, and Shenzhen, China, as indicated by the following chart. 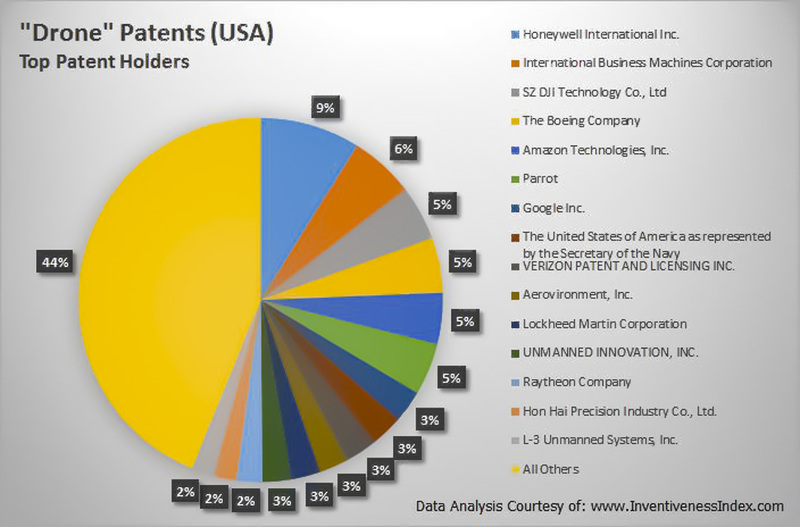 Of the companies, the top 5 patent holders are Honeywell, IBM, DJI (Da-Jiang Innovations), Boeing, and Amazon, as indicated by the following chart. 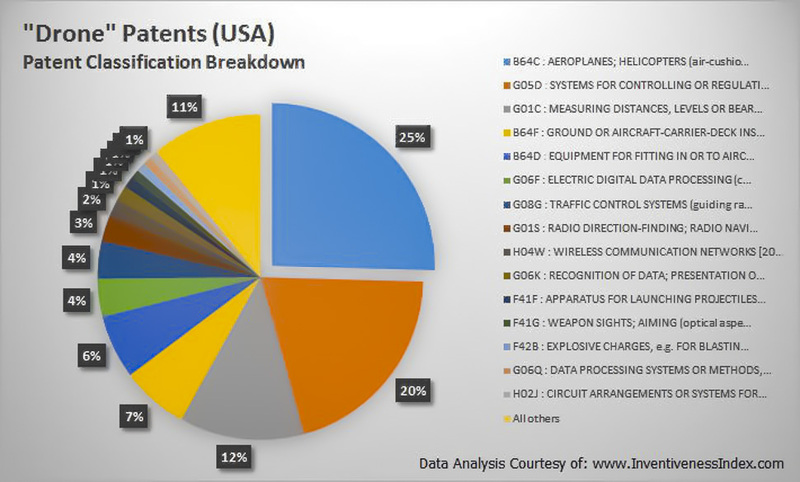 Regarding what, we discovered that the majority of the issued patents were assigned to 1 of 3 classes, i.e., (1) drone machines (generally); (2) systems for controlling/regulating non-electric variables; and (3) measuring distances/levels/bearings, surveying, navigation, gyroscopic instruments, or photogrammetry/videogrammetry. The following chart provides further details regarding such. 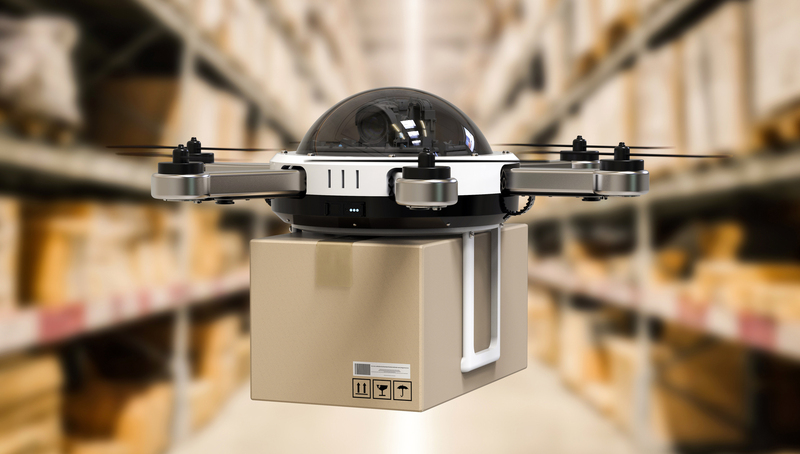 Among the many things that can be gleaned from searching records at the USPTO, it is clear that drone technology is booming with no end in sight. Further, as more patents are issued and the classes become more crowded, it is particularly important to engage competent patent counsel and ensure your technology is properly protected. Click here to learn more about Polsinelli’s Unmanned Aircraft Systems and Advanced Robotics practice. A version of this post previously appeared on the Polsinelli Emerging Technology blog. Data analysis is courtesy of Joe Chiarella and The Inventiveness Index. The InventivenessIndex.com and PatentIdx.com enhance the performance of economic development organizations, publishers, large and small enterprises, law firms, accelerators, incubators, equity investment firms, university tech transfer and governments by providing a range of tools from actionable data feeds about invention to long-term trend analysis for over 250 metro regions around the nation. Coming soon at the InventivenessIndex: Gender Balance in Invention, Are Females Gaining or Losing Ground? The acquisition will allow JLL to provide clients with next-generation technology for real estate and property management. Defakto, a leading Adobe solutions provider, will remain in Dallas, where Ansira also has headquarters.